The George Mason baseball team used homeruns from Kent Blackstone, Nick Gallo and Tyler Nelin and six innings from Tyler Zombro for a 12-4 victory over Delaware on Friday afternoon. 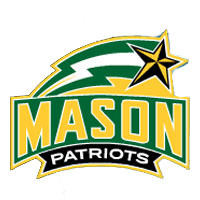 The victory gives Mason its second of the season, improving to a record of 2-5 with a season-high 12 runs and 17 hits. Delaware played only its third game and drops to 1-2 with the loss. Mason scored first for the sixth time in seven games in the bottom of the second when Kent Blackstone sent his first homerun of the season over the right field fence for a 1-0 lead. Two more runs were put on the board in the bottom of the third when Blackstone and Nelin put up back-to-back RBI singles for the 3-0 advantage. Blackstone ended the afternoon 3-3 from the plate with two walks and Nelin 3-5 to bump up his average to .563. Nick Gallo helped chase Blue Hen pitcher Adam Davis out of the game after the fourth inning with a three-run homerun in the bottom of the frame, scoring Brady Acker and Luke Willis. Gallo finished 3-4 with four RBI for a team-high eight this season. Davis left after four innings, allowing six runs on eight hits. Zombro gave up his first runs in the top of the fifth, allowing homeruns to Jeremy Ake and Ty Warrington. The sophomore ended his day after six innings, allowing four runs and striking out three in his first victory of the season. Mason brought home one more in the bottom of the fifth before exploding for five runs in the bottom of the sixth, started by Nelin’s second homerun of the season. Michael Smith had one of his four hits afterwards and Andrew Sable and Brandon Gum also reached base, allowing Acker to smoke a double into right center field, scoring all three men on base. Joe Williams tossed the final three perfect innings behind Zombro, striking out one batter in the process.